track referrals / how did you hear? Ready Go is the most simplistic and fastest to start trading. The learning curve is equivelent to understanding facebook and built on the WordPress Platform. 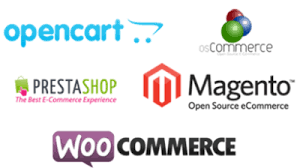 Affordable Powerful uses frameworks dedicated to e-commerce and also wordpress and allows for more custom requirements. Ultimate Experience uses the same features and framework used by Samsung, Ford, Lenovo, Mens’s Health, Olympus and Nike. As such you will need to dedicate time to learn such a highly sophisicated platform.